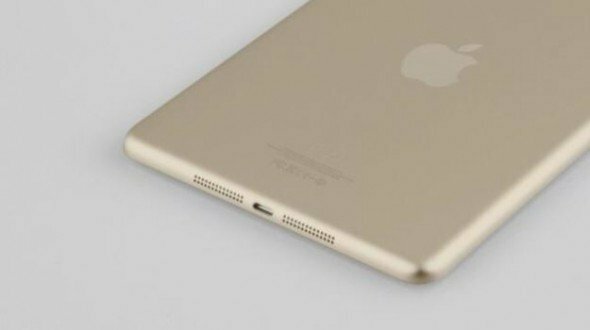 A picture has emerged which seems to confirm the rumour that the iPad Mini 2 will be retailed in gold, positioning it alongside the iPhone 5S. The pictures came to light on the prominent Chinese website DoNews, but perhaps more telling is the tweeting coming from Sonny Dickson. Historically Dickson has been a reliable source of information around the iPad Mini, and he has been pushing out some of the devices apparent specifications. Most surprising amongst them is the omission of the retina display from the Mini 2. It had been widely assumed that the addition of Apple’s HD display was something of a given, especially after the Nexus 7 2nd generation launched with a comparable screen. To not upgrade the Mini 2’s screen would leave the Mini trailing the Nexus device. This is all the more surprising considering the rest of the updates seem to be intended to pull Apple’s products into line. Besides introducing the Gold Mini 2, Apple look set to debut the A7 chip on the new iPad. This brings the 64 bit super-powerful processor spec to tablets for the first time, something which it was presumed would be used to deliver the enhanced graphics package. If the Mini 2 does not have the retina display, then it begs the question of what’s the purpose behind the A7 chip in the Mini? Either way, the new iPad lineup is not far away. Apple are expected to push out their press invites at the start of October, with October remaining the most likely launch. Apple will be keen to get the refreshed and calibrated lineup in place for as much of the precious Q4 selling season as possible, especially considering the rabid demand for the gold iPhone. Previous articleAlan Mulally Vs Stephen Elop Vs Bill Gates: Who will be the next Microsoft CEO?